Congratulation for your new iPhone 6 or iPhone 6 Plus. You must be so delighted for it. Now it is time for you to take action with your iPhone. Since it is still new, make sure that you know the right procedure to operate it. Don’t fall for regret if you find any trouble or error with your iPhone because of wrong or careless handling and operating. To make sure you’re following the right step to get your iPhone ready, here we share step by step to SET UP YOUR IPHONE 6 FOR THE FIRST TIME. Don’t forget to insert the SIM card into the phone before beginning the setup. If you have a Wi-Fi connection for activation, you don’t need to connect your iPhone to your computer then. If you make a mistake and need to go back to correct it, you don’t need to worry because there’s a Back arrow on most setup screens in the top left hand corner of each screen. After you have finished correcting your mistake, you can continue by tapping the Next button in the top right hand corner. Are you ready to get started? Let’s get started by pressing the power button until you feel a vibration. Now follow the steps below to SET UP YOUR IPHONE 6 FOR THE FIRST TIME. Select your language – you can select the language you wish to use by scrolling down the language list, then tap on your choice. Choose your country, you can choose the country based on your location. Scroll down to find your country. Connect your iPhone 6 to the internet to activate it. If you have a Wi-Fi connection, it will be easier for you to activate it. Place your network’s name in the list and then tap on it to select it. Enter the wireless password (this may be shown on your router, and may be called the WPA key, wireless passphrase, or WEP key) and tap Join. After the tick shown that you’re connected and a Wi–Fi symbol shown on the notifications bar at the top of the screen, your iPhone will now activate with Apple automatically. It will take some minute, after it has finished the next screen will appear automatically. Enable Location services. You can choose whether to enable Location services by tapping on the appropriate line. It help with mapping, weather apps, etc, everything you need related with your location. Set up as New iPhone. It is needed if this is your first iPhone. You can tap this line on the screen, the move on the next step on this guide. If you’re upgrading from an older iPhone, you can restore from a backup made of your old handset by tapping on the precise option, depending on whether the backup was made through iClooud or iTunes, and following the onscreen prompts to restore your content. You’ll need to sign in with your Apple ID and password and agree to the T & Cs if your old iPhone was backed up to iCloud.the iPhone will then start to restore. It will take several hours depending on the amount of data it needs to download. 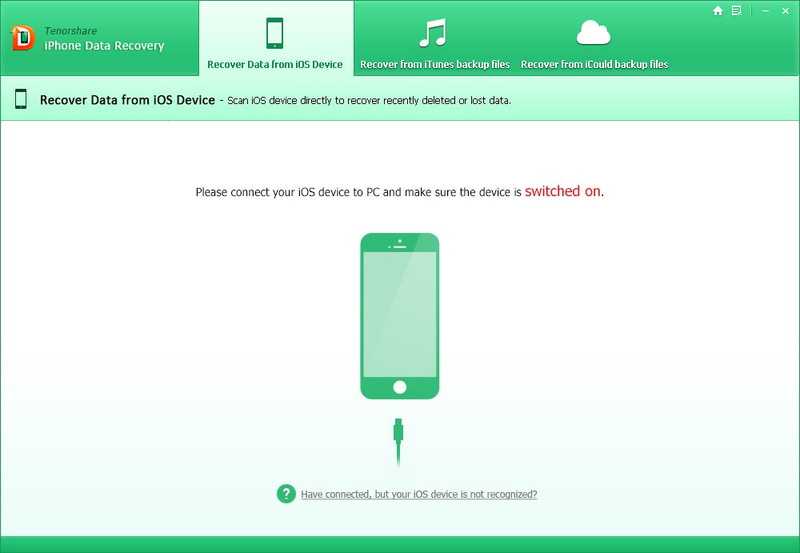 If you made a backup of your old iPhone to your PC, you’ll need to connect your iPhone to your PC to continue. You will need to use an Apple ID on your new iPhone. This is your ID with Apple to download films, music, apps, etc, and to manage your handset. If you already have one, maybe because you already have an iPod or iPad, then Sign in with it, and continue with setting up iCloud. If not, tap Create a Free Apple ID. The importance of your birthday when creating an Apple ID. There are two reasons. It forms part of the security information you may be asked for when resetting your Apple ID password. Most importantly it controls what content you are able to download from iTunes and App stores – age-restricted items will only be offered to those old enough (based on the date of birth you entered). Scroll the date wheels at the bottom of the screen to choose your birthday, then tap next. Choose an email address to associate with your Apple ID. You can use a current email address you already have access to, or create a free iCloud address. We would recommend setting up a new, free iCloud email account to use as your Apple ID, as it keeps everything to do with your iPhone together in one place. If you have an old Apple ID linked to an expired email address, there’s a link at the bottom of the screen to help gain access to that account. If you create a free iCloud email address, you have to decide what that address will be. You can pick almost anything, but if your choice has already be picked you’ll be asked to try again. When you are ready to continue, tap Next. A confirmation screen will appear regarding creating your free iCloud account. Double check what you have entered as you cannot change this once it has beed submitted. When you are ready to continue, tap Create. Create and verify the password you wish to use with your Apple ID. There’s a guideline shown onscreen, when you’re satisfied with your password, tap Next. Create three security questions with answers. Tap on the Question line to pick one of the choices of questions, then give your answer below. After that tap Next to move on. These are to help you to reset your Apple password. You may need to make a note of what you enter here to prevent any time you forget it. Enter a rescue email address. It is optional, but advisable to help you recover a lost or forgotten password. Tap Next to continue. Choose whether to receive email updates from Apple – you can turn it on if you wish to receive it by tapping the switch into green, then tap Next. You will see the Terms and Conditions screen. To use your new iPhone, you will need to agree to them. Do this by tapping Agree. Tap Agree again to prove that you really agree. Choose whether to use iCloud. This is Apple’s online synchronization services, allowing you to share your contacts, calendars and media between all your iCloud compatible devices – iPads, iPods, etc. this also helps you keep your important data secure by making a backup of your contacts, calendars and camera roll photos. Tap Use iCloud to turn this on (recommended) or tap Don’t Use iCloud if you’d rather not. You can change this later on. Find My iPhone service. It will appear on your screen if you choose to turn on iCloud. There’s a link to more information, and when you’re ready to proceed, tap Next. Set Up Touch ID. It is Apple’s name for its fingerprint recognition system, allowing you to use your fingerprint in place of your passcode or password. You can set it up now by tapping Set Up Now or Set Up Later if you wish to set it up later and continue. The screen will guide you to set up Touch ID. You can do it by placing your finger onto the home button, lifting it off and replacing it as requested. When the iPhone has successfully scanned your fingerprint, the success screen will appear. Tap Continue. When you have finished, you will be asked to create a passcode as a backup to using fingerprint. Type in a four digit code, and then confirm it by entering it again. Touch ID for Purchases option will appear, you can use it by tapping that option to enable you for purchasing such as in the App store. If you chose not to set up Touch ID, you will still be asked whether you wish to set up a passcode to secure your iPhone 6. It is highly recommended to secure your iPhone. Enter a four digit code, then confirm it by entering it again. iCloud Keychain. This is Apple’s secure method of sharing your stored password and payment information across all your Apple devices. Set Up iCloud Keychain by tapping that option although you can do it any time in the future just by tapping Set Up Later. Siri. This is voice control, taken a lot further. It allows you to search, check information, send messages, without having to flick through individual apps. Choose whether to Use Siri or not by tapping on the line. you will be asked to give a feedback to Apple. There’s more information available on how that data is used by tapping on the link at the bottom of the page. You can choose whether to Automatically Send or Don’t Send the information to Apple. Tap Share with App Developers or Don’t Share to decide whether you want to help by sending back information there’s a trouble with the app, or other information. 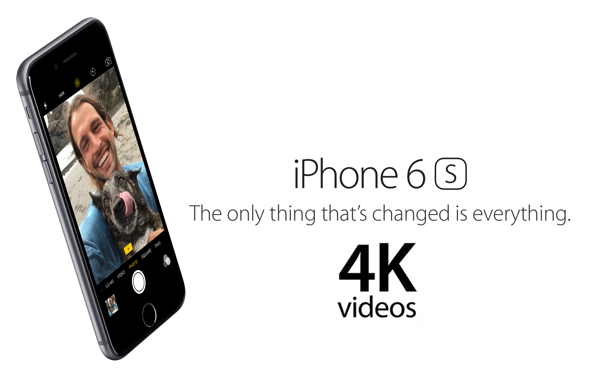 Display Zoom allows you view the iPhone 6 in two options: Standard or Zoomed. Tap Choose a view to see a sample of both options, or tap Standard or Zoomed to set it without looking at the examples. Standard and Zoomed option will change the appearance of the home screens. Swipe across and you can view standard and zoomed examples of the messages screen, swipe across again to see what an email looks like in both views. After you made a choice, leave that bottom at the top highlighted, and then tap Next. Setup wizard has finished. Tap Get Started to finish. 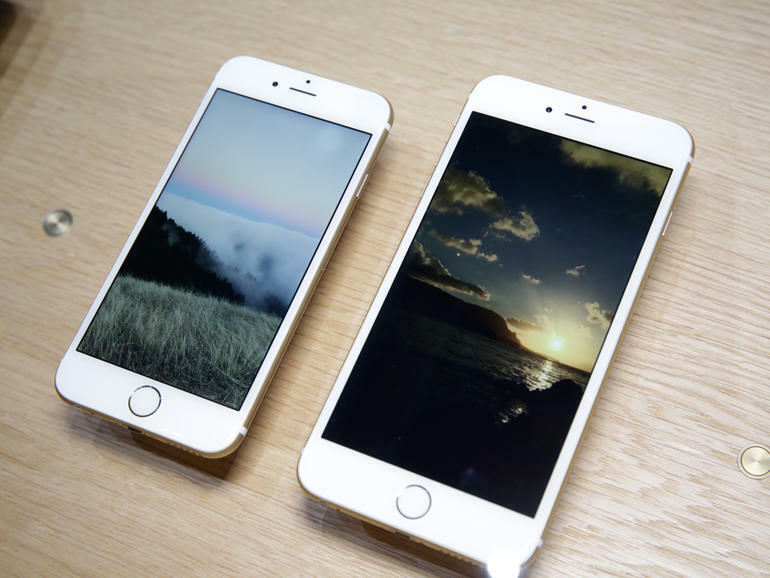 After finishing the setup wizard, you will be at the home screen of your new iPhone 6. Anytime you want to go back to this home screen, you can tap on the home button at the bottom of the handset just below the screen. Well, that’s all you need to do to SET UP YOUR IPHONE 6 FOR THE FIRST TIME. 10 Comments on "iPhone 6 First Time Setup Guide"
hello, I’m an iPhone convert from Samsung and trying to figure out how to 1) make munlicksvreen stay open longer – I keep having to re-enter my pw and 2) I manage several gmail accounts but can’t figure out how to do this one phone. The gmail opens to my default account but won’t give me access to the other accounts. How can I get my iMessage to activate to see text messages? how can i perform a hard reset for my i-phone 6+ with out using the password for the existing apple id. My gmail email account is not appearing on my Iphone 6. How do I fix this? I loaded OS 9 on my iphone 6 I can use my fingerprint to turn on but the passcode does not work. How do I change password. My phone will not change from portrait to landscape orientation. How can I change this in settings? Thanks. My iPhone 6s will not unlock using my passcode. Suggestions? I want to sync my iPhone 6s with my BMW X1. I am ok up to the the point where the car says, “enter code” from iPhone. Where do I get that code?